The Kinetic Explorations program is for artists who are exploring a new dimension of their choreographic work. The program is primarily open to Nova Scotia dance/movement artists working in the contemporary field, however, the program is also open to those from other art forms who work with movement and/or dance artists. 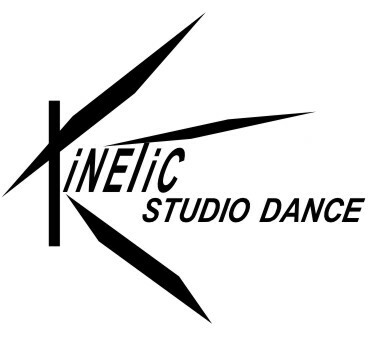 Kinetic Studio will work with the successful applicant during the 2018-19 season to custom-tailor a program to assist them in developing a project over the course of the season. This may include assistance with, or a contribution towards: studio rehearsal space, a mentor and/or outside eye, costume and/or lighting design, music, photos, creating a press kit, or in other ways that benefit the applicant's project. It will also include a stipend for the artist for participating in the studio presentations. The specific components, costs, and fees of the program will be developed by Kinetic Studio in consultation with the successful applicant. The successful applicant is expected to participate in two or three studio performances at DANSpace during the 2018-19 season to present "work-in-progress" glimpses of the piece as it develops. The option for a final presentation venue and date will be determined by the choreographer and Kinetic Studio. The applicant may also be asked to present the work, or share insights in its development with Dance 11 students, Taking Steps to Fly participants, or others. Note: Kinetic Explorations is intended to assist in the development of new work. It is not a commissioning project, and it is expected that additional funding may be required to realize the final work. The successful applicant will be chosen based on their ability to articulate the importance of this choreographic development to their work at this point in time, their ability to carry out the project in self-directed manner, availability to participate in performances, and support material. APPLICATION Fee: Please send a $5 Kinetic Studio membership fee and a non-refundable processing fee of $15. Please make cheques payable to Kinetic Studio or pay online at www.kineticstudio.ca/boxoffice. ELECTRONIC APPLICATIONS WILL BE ACCEPTED. -what elements of choreography they are exploring with this project, and whether this is a new direction or continuation of previous work. -why this project would be well suited to the Kinetic Studio Series and the Explorations Program. Include the performance dates (from above) when you would anticipate performing. All applications will be reviewed by a selection committee.